Coach America is the largest tour and charter bus operator headquartered in Dallas, Texas, providing transportation services throughout the entire United States. In 2011, Coach America wanted a promotional product to distribute at their seminars. 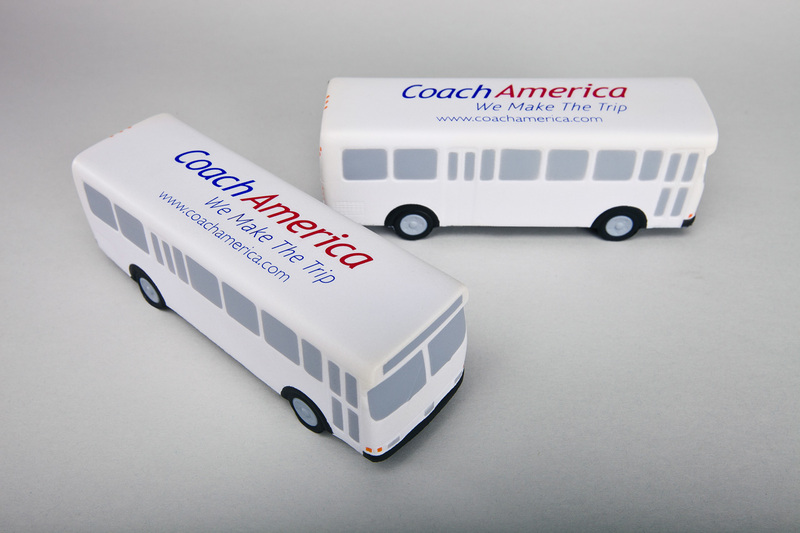 V H Printing provided various promotional ideas with Coach America deciding on the foam design “stress-free Coach America bus.” Services included consulting, creative design, digital strategy, graphic design, and printing of the foam bus. The team has been responsive to our needs and regardless of what we ask them, they deliver!